Stadium House was updated fairly recently - 2002. Personally I think it looks 10x better than what was there previously. The refurbishment made it the tallest building in Cardiff with the addition of the spire, so it certainly won't be removed any time soon, or updated again, I should think. And no truth in the rumour that one world trade center was inspired by this very structure! It's nice to see St. David's coming down but that Media Wales building is a pig isn't it? It's really going to stand out now, at least it was hidden before. aah tower cranes - surely a mark of the level of construction activity. I believe that the count of city centre cranes in about a week will be a big fat zero!! The Zenith crane (Herbert St) is coming down very soon I believe. Slightly outside immediate city centre we've got 1 (or is it 2?) at students uni development park place, 2 at student accom. CRI west wing. 1 or 2 at Howard Gardens student accom. 4 or 5 for the transport exchange if it ever actually starts!! oh and another one is of course cap qtr plot 5 - I noticed that a number of works cabins have appeared next to feeder so this one (residential tower - about 80m) could be all systems go soon. Last edited by paul cardiffwalesmap on Sun Apr 14, 2019 2:15 pm, edited 1 time in total. Who is actually behind the Custom House tower? Am I right in saying that the Rapport family were behind the Bridge Street tower? Obviously Watkins Jones are behind the build of both. Development has also started for the flats on the old Wharf pub site. That'll have a crane. Also don't forget about the tower next to Brickworks by Portabella. Brickworks finishes in the next few weeks, I would imagine work wouldn't be too long until starts. https://www.walesonline.co.uk/business/ ... r-14902119 even this could be around the corner in 2020. Hi Lewis - Yes that portabella tower did cross my mind but no sign of demolition of the existing buildings at the moment, so I didn't think we'd be seeing a tower crane for sometime. However as you mentioned with brickworks almost open is this the next development to crack on with, I hope so! 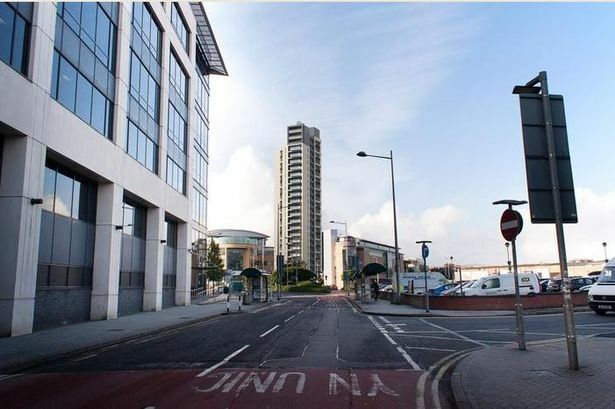 With central quay to be just the other side of penarth road this tower would be very nicely located. There are two cranes at Maindy Road, presumably for Cardiff Uni, though I've no idea what's being built specifically. I know I go on about this a lot, but does anyone out there know if and when the approved plans for the transport exchange will get underway? or will the next we hear about this be another re-design yet again? WTF is going on? walesonline reported that work would be starting in march it's now the 2nd half of april and nada! !